iHeartRadio is perhaps the most popular radio station streaming app around. The service allows users to stream radio stations from around the world. There's great news for iHeartRadio users who would love to use the service while driving. The latest Android version of the app has been readied for Google's upcoming Android Auto. 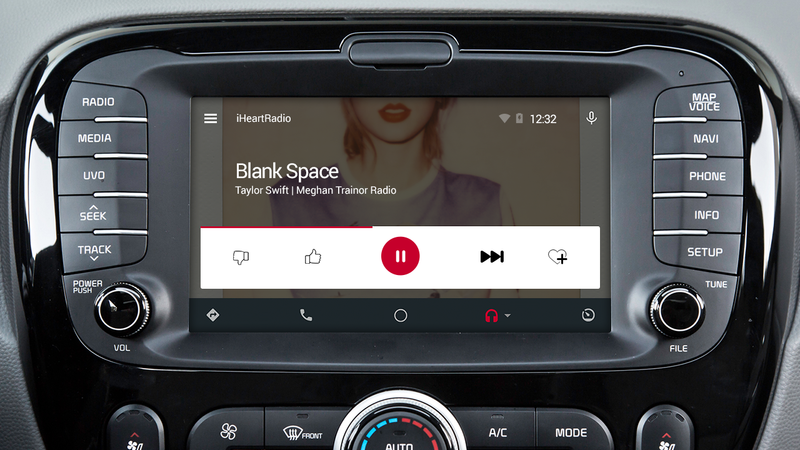 Although Android Auto is not available for use at the moment (aftermarket head units are expected this Spring and Summer), the iHeartRadio app has been updated to support the platform. Using a compatible car system, listeners will be able to use the app from their car's dashboard via Android Auto. When you plug your smartphone into a vehicle equipped with Android Auto, iHeartRadio joins you for the ride. Access you favorite stations wherever your travels take you! The app interface will be structured and restricted to what Android Auto allows. The iHeartAuto app (car version of iHeartRadio) will remain a separate entity. The latest version of iHeartRadio can be downloaded from Google Play today.